You deserve a smile you're proud of and at Adams Orthodontics, our mission is to help you achieve one through convenient, high-quality orthodontic treatment. Dr. Adams and our highly trained team of orthodontic specialists work hard to personalize the treatments we provide, crafting detailed plans that fit the needs and lifestyles of our patients. If you've been considering orthodontic treatment for your smile but are hesitant about the inconvenience of braces, there's an exciting alternative you may not yet have considered: Invisalign clear aligners. Invisalign is an alternative to braces that uses a fundamentally different method to straighten teeth. While braces use a series of stainless steel brackets mounted to the front of teeth and a thin, springy archwire running through the brackets, Invisalign relies on hard, clear plastic aligners that fit directly around your teeth. These aligners are nearly invisible when worn and easy to take on an off, making them a highly convenient form of treatment. At our practice, we can use Invisalign to treat most orthodontic conditions, making them a viable alternative to braces for most patients. Almost Invisible: As the name implies, Invisalign aligners are transparent and lay flat on the teeth, which means it's almost impossible to see them when worn. This means you won't have a lattice of metalwork for braces, making social events or presentations at work easier by having the peace of mind that people are looking at you, not your braces. Easy Oral Care: During treatment with braces, patients need to use special tools like floss threaders to clean teeth and maintain their oral hygiene – but with Invisalign, you simply take the aligners out and brush and floss as normal. Improved Comfort: Because the Invisalign aligners are smooth to the touch and lay flat on the teeth, they won't cause the tiny cuts and scratches that braces often do, making them a more comfortable treatment option. Eat What You Want: Wearing Invisalign also allows you to eat what you want without any dietary restrictions. While braces require you to avoid hard, sticky, or crunchy foods, with Invisalign, you can enjoy any food you like. First, we'll bring you in for your orthodontic consultation. During this appointment, Dr. Adams will perform a thorough oral exam and take a number of images and measurements to form a diagnosis of your orthodontic condition. We'll use your diagnostic information to craft a computer model of your mouth and bite, then use that model to build out a detailed treatment plan. After breaking that plan down into two-week increments, we'll instruct the Invisalign lab to custom-manufacture your own set of aligners based on Dr. Adams's plan. You'll wear each pair of aligners for 22 hours a day, switching to a new set every two weeks or so. 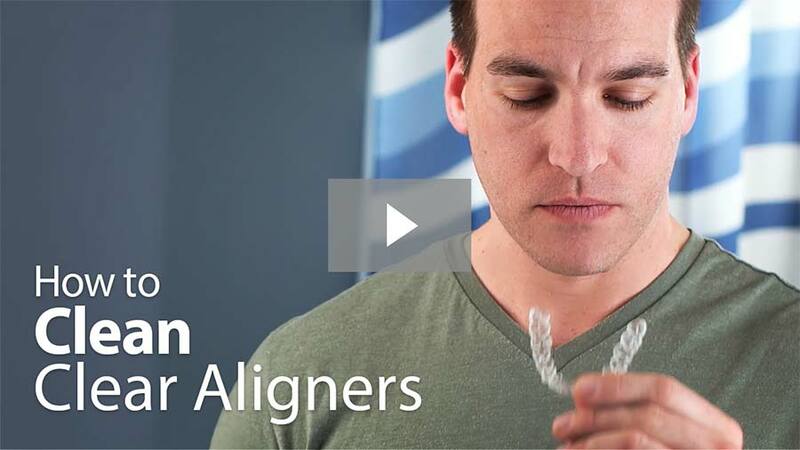 With every new pair of aligners, your teeth will move closer to their final positions. After you finish your final set of aligners, your new smile is yours to keep! Eruption Tabs: Invisalign Teen aligners can be made with special eruption tabs, which hold space open for unerupted teeth. This allows us to treat patients before all the teeth have completely grown in. Compliance Indicators: Invisalign Teen aligners come with built-in Blue Dot Wear Indicators, which tell doctors, patients, and teens themselves if the aligners are being worn long enough or if the patient should be more diligent. Replacement Aligners: Every Invisalign Teen course comes with six free replacement aligners, eliminating the hassle if any are lost or stolen. During treatment, maintaining strong oral hygiene is vital – any tooth decay can derail your treatment and cause major problems with your teeth. Accordingly, you'll need to brush your teeth and aligners every time you take them out or put them back in, and you'll have to be sure to floss daily. In addition to brushing, you'll also want to periodically soak your aligners in a glass with a denture cleaning tablet for a deeper clean. After you finish your treatment, we'll create a set of retainers to make sure your new smile stays in line. It's vital to follow our exact instructions for wearing your retainers, as without them, your teeth will move back to their old positions, erasing your hard work! With proper wear, your retainers will protect your new smile for a lifetime. Invisalign is an exciting, convenient alternative to traditional metal braces, and if you'd like to find out how Invisalign can help you revitalize your smile, we'd love to help. Reach out to us from our contact page or use our easy online form to schedule a consultation and start towards a new smile with Invisalign. We can't wait to hear from you!